Albany, US, 2019-Feb-12 — /EPR Network/ —There has been a substantial rise in the demand for the corrugated boxes that find their applications in shipping, which can be attributed to the cost-efficiency and strength of corrugated board. Rapid growth of food industry has resulted in the spurring demand for high quality food packaging, which has yet again proved the efficiency of these machines for the manufacturing of food packaging. 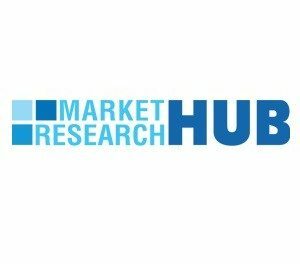 In order to provide a decisive outlook on the folding gluing machines market at a granular level, a report has been recently published, titled as, “Folding Gluing Machines Market: Global Industry Analysis 2013 – 2017 and Opportunity Assessment 2018 – 2028”, which has been updated in the broad repository of Market Research Hub (MRH). According to the report, the global folding gluing machines market is anticipated to clock a remarkable CAGR of over 4% through 2028, on the back of strong demand drivers. Novel developments and innovations in the structural design have played a pivotal role for the growth of this market, which in turn has reduced the turnaround time and material requirements. Being a segment where one size does not fit all, straight line boxes continues to be in major demand and sweeps the largest share of the market. The market study on the folding gluing machines market offers a detailed prediction by incorporating the historical data for the period 2013 – 2017 and forecast for the period 2018 – 2028. Market evaluation has been carried out in volume (Units) and revenue (US$ Mn). This descriptive report consists of several macroeconomic and microeconomic factors that influence the growth of the market. An in-depth assessment of value chain analysis and profitability margin is included in this report, in order to extract valuable insights on the performance of the market. A holistic view on the demand drivers of the market, besides the key trends, major developments, threats, opportunities, and restraints have been discussed in the report. The market is analyzed, depending on the machine type, fold type, machine output, sheet size, end use, and region. The market has been estimated depending on the existing currency rates. Valuable information incorporated in this report have been culled with the help of primary as well as secondary sources of this market. The secondary sources that were consulted are Factiva, Packaging Digest, World Bank, Hoover’s, and the annual publications and reports of various key players of the market. Various regions have been analyzed in order to cull precise data for the report. Geographies analyzed in the report include Latin America, North America, Eastern Europe, Western Europe, Japan, Asia Pacific except Japan (APEJ), and Middle East and Africa (MEA). Historic value of the market is analyzed and included in the report, on the basis of various parameters. Behemoths of the market consist of Heidelberger Druckmaschinen Aktiengesellschaft, Bobst Group SA, Vijaya Grafiks Inc., Barry-Wehmiller Group, Inc., EMBA Machinery AB, Ishikawa Seisakusho Co., Ltd., WILHELM BAHMUELLER Maschinenbau Praezisionswerkzeuge GmbH, Sipack S.r.l., Lamina System AB, and Fidia Macchine Grafiche S.r.l., among others. A comprehensive outlook has been provided in the report that consists of competition analysis, besides their market overview, product portfolio, production and sales footprint, financials, and competition standards.